Barry joins LINK with a wealth of knowledge in the accommodation and tourism industry. Having operated Caravan Parks with substantial accommodation in Tasmania, Victoria and New South Wales, Barry offers a fresh insight into the accommodation industry from a practical wealth of experience. Barry spent the initial part of his working career with the Victorian Government, and in 2000 he chose a lifestyle change and pursued his long time ambition of operating an accommodation business. Four years later after selling the park in Tasmania, Barry moved back to the mainland, then as owner operators of a park in Central Victoria. Five years later Barry purchased his third park in New South Wales. 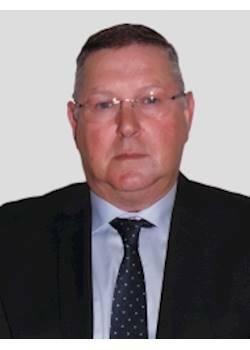 Barry holds qualifications in Caravan Park Operations and is a Licensed Business Agent. With 14 years experience in the Tourism industry and a wealth of experience Barry moves closer to home for personal reasons. Barry operates his office from Echuca where he can best service his client needs.